Welcome to mid-life and Menopause. It’s an important time to take care of yourself by learning everything you can about the changes you are experiencing. And, that includes finding out what some of the things are that you can do to make this transition a more comfortable one which includes more than just dealing with menopause hot flashes. So many women suffer from debilitating menopause symptoms that rob them of the quality in their lives. It doesn’t have to be that way! I know, I’ve been going through perimenopause for a few years now. You will find as the years progress, your symptoms change which makes it even more important to have a resource site such as this one that you can refer back to when you need more information. There is so much available to us now that can help alleviate the uncomfortable symptoms. Unfortunately, allopathic doctors often treat menopause as if it’s a disease. In truth, it is just a transition into mid-life – something that all women and men face at some time. Recent research has shown us that what we believed to be the answer for common mid-life concerns, specifically Hormone Replacement Therapy (HRT), may cause the very problems we are trying to avoid: heart disease and cancer, among other illnesses. The jury is still out on HRT. The good news is there is hope! Everything Menopause makes it possible for you to easily find up-to-date information regarding the newest trends in treatment, such as bioidentical hormones. In 2005 there was already approximately 70 million women going through some phase of menopause. It’s important to know that there is no reason for us to suffer any longer. In addition to our site, you can also get help here. Hormone is a Greek word and means to “set in motion.” Hormones are responsible for initiating and regulating numerous bodily functions. For example, metabolic hormones regulate how food is turned into energy. Growth hormones control a child’s development and maintain certain tissue structure in adults. Regulating hormones determine your femininity, masculinity and sexuality. Your endocrine glands manufacture and secrete hormones including the pituitary, thyroid, parathyroid, thymus, adrenals, pancreas, gonads and other glandular tissues located in your intestines, kidneys, lungs, heart, and blood vessels. The endocrine system works with your nervous system to keep your body in balance within a constantly changing environment. When your body stops producing certain levels of hormones, such as estrogen, progesterone, and testosterone, the onset of menopause occurs. 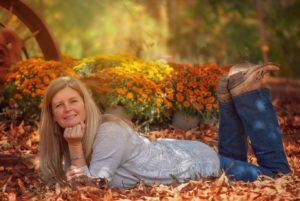 This transition naturally occurs between the ages of 40 to 55, but some women have experienced the change in the early 30s and as late as their 60s. It doesn’t happen all at once. Typically there is a transition period before menopause that is commonly called perimenopause. This is typically when you start feeling menopause hot flashes in most women. During this time, the female body begins to produce fewer female hormones including estrogen and progesterone. This change in hormone levels causes the symptoms that send us looking for answers, such as menopause hot flashes, sudden mood swings, and changes in our menstrual cycles. This is a very important time in every women’s life to take care of yourself. We’re going to make finding more information a lot easier for you right now.